The programme aims to make internet connectivity more accessible and affordable to the low-income group. The Infocomm Media Development Authority (IMDA) in Singapore announced plans to provide 900 pre-qualified low-income households the opportunity to sign up for home broadband and tablets, at no cost. The scheme is supported by POSB Bank, NTUC FairPrice Foundation and NetLink Trust as corporate sponsors. For pre-qualification, households would need to have at least one member who is an existing beneficiary of selected government assistance schemes (i.e. Public Assistance Scheme). They will be invited to sign up with IMDA directly.The first 900 pre-qualified households who successfully sign up will enjoy the bundle package for free. This is part of IMDA’s Home Access Programme, running since September 2014. The programme aims to make internet connectivity more accessible and affordable to the low-income group. Qualifying households are provided with subsidised home Internet access and basic computing equipment, such as a tablet. To-date about 8,000 low-income households have benefitted from the programme. The Home Access Programme targets to benefit another 16,000 low-income families starting from April 2017. This programme applies for low-income households with no children attending school. Low-income households with students can utilise another IMDA programme called NEU PC Plus, which offers students and persons with disabilities the opportunity to own a brand new computer at an affordable price. IMDA also launched the IM Bonding Learning Project, to empower vulnerable segments with access to technology furthering its digital inclusion efforts. This new project will provide 1-to-1 dedicated tutorials for seniors from low income households to learn how to use the tablet device and navigate the Internet. It comprises eight 3-hour per sessions spread over 8 weeks, and will focus on using technology for social connectedness. The seniors can have the chance to try out the tablet, and learn a variety of useful IT skills including basic introduction to the device and Internet, Digital TV, e-Communication, social media, POSB’s Digibank and Paylah! Apps for digital banking and e-payments, and more. The project is expected to help these seniors get closer to family and friends and make their lives more convenient. 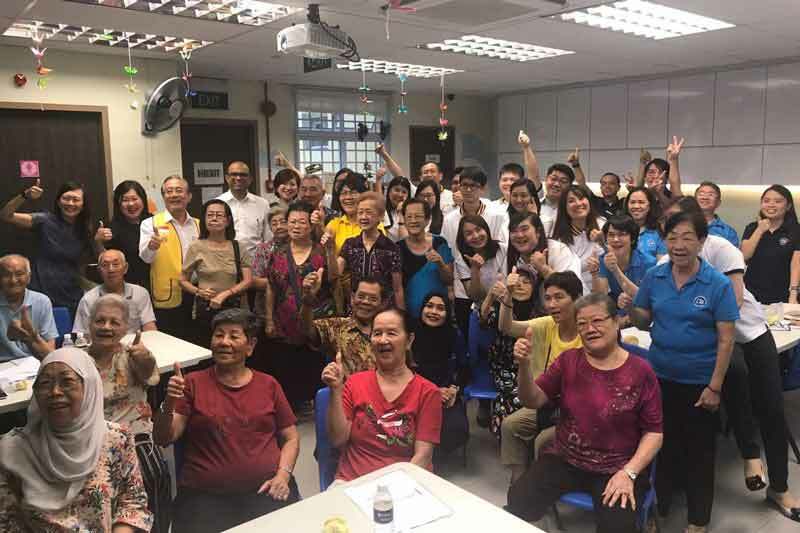 The IM Bonding Learning Project is a collaboration among IMDA, Lions Befrienders (LB), a Voluntary Welfare Organisation and POSB, leveraging the respective parties’ area of expertise in the public, people and private domains, to strengthen communities through technology. “As the People’s Bank, POSB has served generations of Singaporeans and together with many of our seniors today, we hold an important role in many of our nation building initiatives. The world is becoming more digital and we want to play our part to ensure that our seniors are not left behind. As we move together towards Singapore’s vision of a digital future, we want to help empower our seniors through this initiative and take full advantage of POSB’s suite of digital banking services so as to enjoy greater convenience,” said Ms. Susan Cheong, Head of POSB.